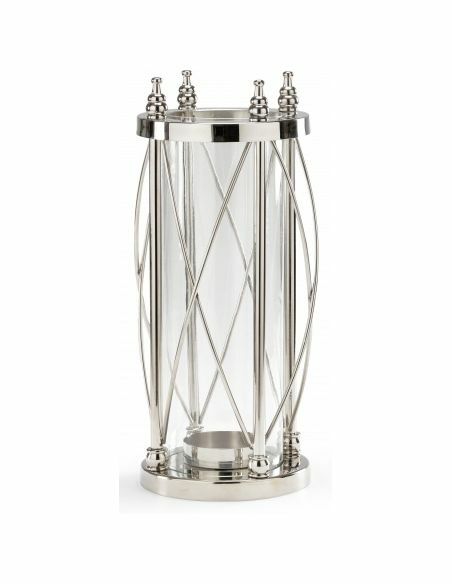 A tall sleek candle stand with fine quality nickel polished finish, this wonder work of art is sure to soothe your senses. 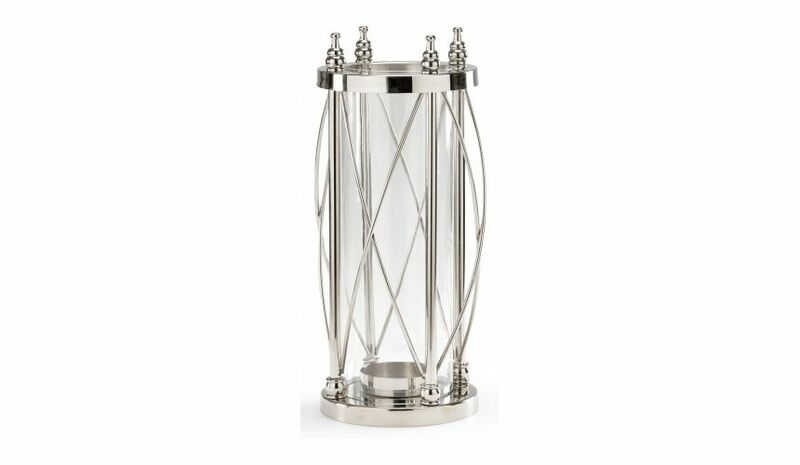 Four shiny pillars are placed with criss cross pattern in between them to give this candle stand an outstanding appearance. The sturdy round solid base assures that your candle remains in place all the time.